I found this recipe in a magazine a long, long time ago. I found it last month when I was unpacking some boxes down in my basement. The tomatoes at Highcross Farm have been so lovely this year, I figured there was no time like the present to try it out. This recipe is incredible. 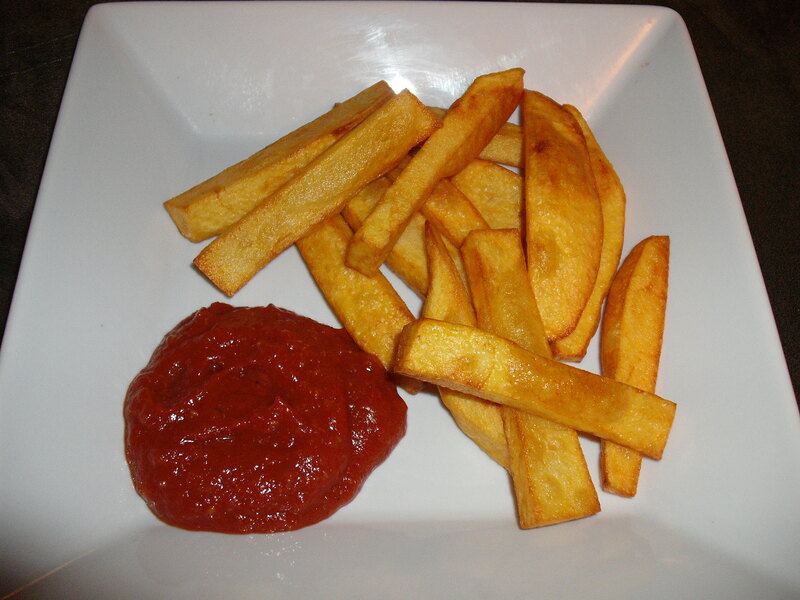 It’s got a nice hint of sweetness to it that you don’t get in store bought ketchup. In a medium saucepan, heat canola oil and add onion, garlic, dry mustard and salt. Cook for about 10 minutes, until softened. Add tomatoes, tomato paste and spices. Cook for about 2o minutes over medium heat, stirring often to prevent scorching. Gently break down tomatoes with the back of a wooden spoon while cooking. Add maple syrup and vinegar and continue to cook, stirring for another 10 minutes until mixture has a nice, thick consistency. Cool briefly and puree in a food processor. Pour into a jar and cool completely before using. This recipe makes on pint jar full of ketchup.